All Service Glass is a full-service, mobile glass business that can serve both residential and commercial clients in the Portland area. We can create secure entry door systems and appealing storefronts. We’re also known for our patio door replacement and installation services. Because installing a sliding patio door is usually not a DIY project, you’ll want to call in the professionals to come over and determine the current door’s frame material, type of glass, tint color, and dimensions. All Service Glass carries a wide selection of windows that are on hand, which is important if your window was shattered and you need immediate service. We understand how crucial a patio door installed can be in preventing burglaries and keeping your property energy-efficient. Besides a patio door replacement, we also offer window sealing. Our experts will seal the corners and surround the window with a glazing compound to protect the window from vandalism and weather-related damage. If you want to upgrade to a newer style altogether, we would be happy to give some options to choose from before installing the sliding patio door. For example, you could get French doors, vinyl doors, or aluminum doors. 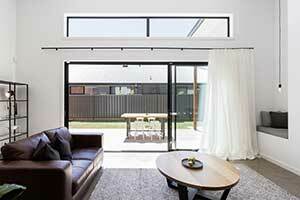 You could also choose a patio door replacement that swings in or out. We’ll come out as soon as possible to perform sliding glass door repairs whether your door has a broken frame, a bad roller, or chipped glass. There are several other repair jobs we can handle, due to years of experience. For example, moisture can easily seep into your dual pane windows and fog them up, but our glass experts know to seal them for a crystal-clear view once again. In addition to glass doors, we regularly service vinyl windows and plate glass walls. It doesn’t matter whether you’re in Portland, Gresham, Clackamas, or Oregon City, All Service Glass will send a patio door installation professional over right away. We have more than 15 years of experience in sliding glass door repairs and replacements. Give us a call today to schedule an appointment, we offer estimates at no charge.